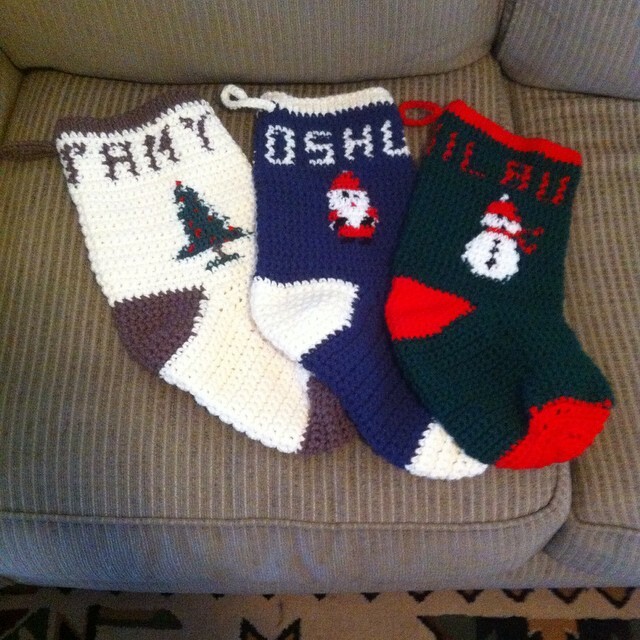 I was commissioned to make three Christmas stockings for a woman, her man-friend, and her dog. This is what I came up with. I love them - I hope she feels the same way! Here is the FREE pattern I used from Yarnspirations. Instead of cross stitching, I used the chart and colour-worked the images as I crocheted. I also found a chart for letters and added them to the top of the stocking. Which is your favourite stocking - the Christmas tree, the Santa Claus, or the Snowman? I have shared this post with the blog parties found on my "Linky Parties" page.